Recap: Free Dad Videos is a YouTube channel that features a little girl named Amelia. Sometimes she goes on video game adventures created with the help of her videographer dad Matt Silverman. Her latest quest will take her on a journey into No Man's Sky in an attempt to steal data for a Gek benefactor. Despite what one may think about Hello Games’ No Man’s Sky, it cannot be denied that it has brought out the creativity in its fans. Players have created elaborate bases both above and below the sea. They have constructed various sculptures using resources found in the game. Now thanks to a glitch, players are creating cinematics using the game engine. One such creator is Matt Silverman. Silverman’s YouTube channel Free Dad Videos features sappy but cute videos of him and his daughter Amelia. The “Epic Adventures” section of his channel has little Amelia taking part in video-game themed quests edited into a short film that includes CGI effects. 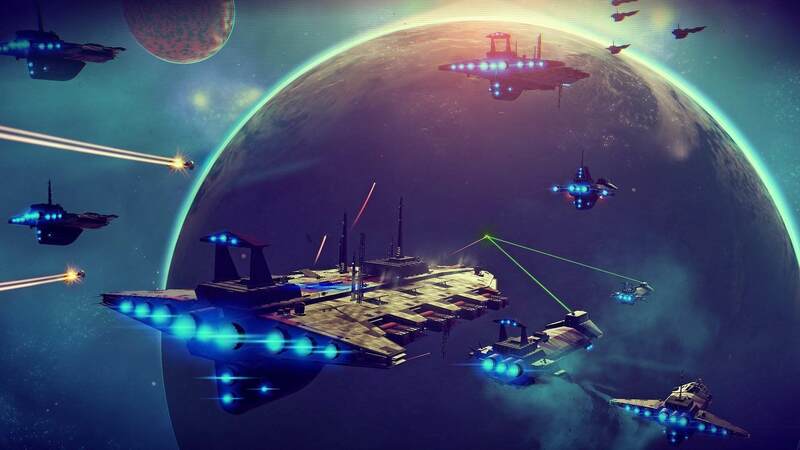 His latest effort is titled “Nomad Squadron” and takes place in the No Man’s Sky universe. The film will, of course, star five-year-old Amelia with Kinda Funny’s Greg Miller and pro-wrestler Austin Creed playing supporting roles. Creed, whose real name is Xavier Woods, is a mutual acquaintance of Miller and Silverman. He also happens to be a video game YouTuber himself with his channel UpUpDownDown, so Silverman didn’t have to twist his arm to play a role in the video. As mentioned, he filmed the movie using the No Man’s Sky game engine. He was able to do this using a glitch in the game’s built-in photo mode. Normally in NMS photo mode, time stops allowing players to move the camera around for the perfect angle of that dinosaur chomping on their head. At least this is how it works in single-player mode. If you open the camera while playing with others, the game doesn’t freeze the action. So you can continue playing while someone else is recording live video without the game’s UI getting in the frame. It’s a nifty little trick that has already seen some players making cool cinematic tributes to the game. Check out the trailer for Nomad Squadron above. The full short will be ready sometime later this month.